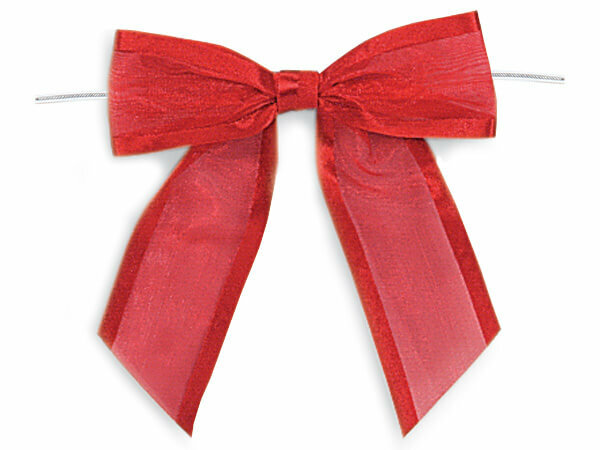 Pre-tied Sheer Organza Bows are made from Satin Edge Sheer ribbon with twist ties included. Available in several colors. The 6" plastic-coated wire ties make them quick & easy to use.